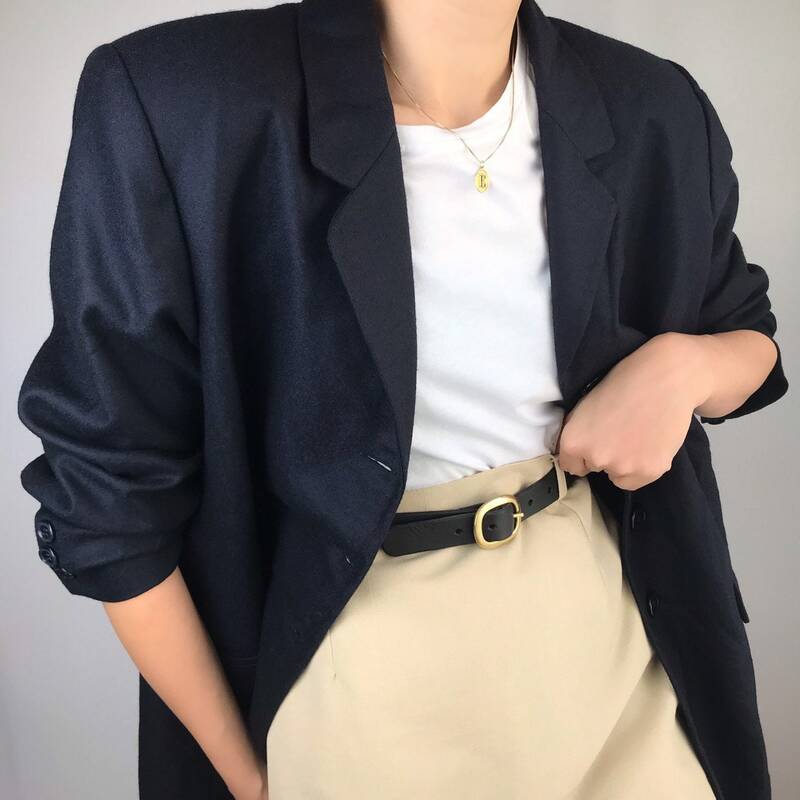 ‘90s vintage navy wool blend blazer with four button closure. No brand, size or fabric label. Looks custom-made. Size will fit S/L -styled oversized. Shown on a size S model on the pictures. The touch feels like a thin wool blend.